The issues may change with the passing of the years, but the categories of concern change very little: sexuality and the sexes; medical decision-making; justice for the poor, the powerless, the underclass; reproductive decision-making; moral decision-making in business; and personal moral choices. 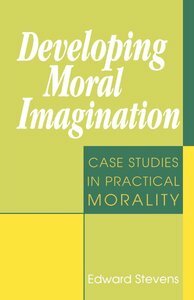 Stevens attempts to present alternative positions on hotly debated new moral issues from a different standpoint, using an ethical pluralism approach. In doing this, he hopes to help readers arrive at their own non-polarized positions by learning from and respecting all parties in the discussion.